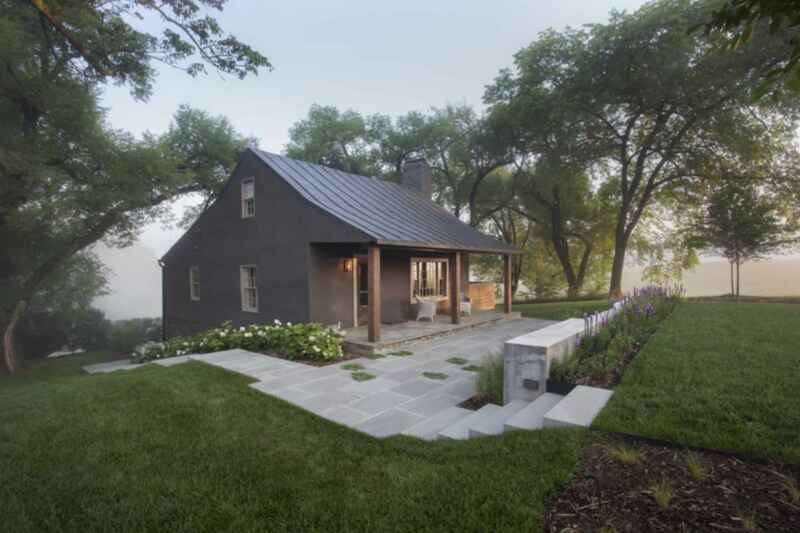 When the contractor and architects began pulling away the interior wall finishes, they discovered a log cabin at the core (believed to date as far back as the 1780's) and a newer addition (circa 1920's) at the rear where the site slopes down. What appeared at first to be a simple, worn-out, early 20th century stucco cottage was to be modestly renovated as a weekend retreat. Initial plans were scrapped, and a new project was born that honors the original construction while accommodating new infrastructure and the clients' modern tastes.